Hi, I'm Scott and I'm a wedding photographer specializing in documenting weddings in a candid, photojournalistic style throughout Toronto, the GTA and Ontario. My work has been published online and print and has won many awards over the years. I sometimes joke that I'm a full time stay at home dad and a part time photographer, but that's actually probably pretty accurate. My world revolves around my wife and our 4 kids. Family is everything to me and I try to show that in my wedding photography. I'm probably one of the few photographers who actually enjoys taking the family formals since I know how important those pictures will be in years to come. I wasn't the kid who got a camera at age 5 or shot for the school newspaper. But I've made up for it by studying at some of the best photography workshops in the world… Foundation Workshop, Mountain Workshops, Magnum Workshops, Cliff Mautner and David A. Williams to name a few. And something in those workshops must have clicked since my images have won numerous awards with ISPWP and WPJA and I've been published in magazines like Wedding Bells. My standard wedding coverage is $3000 and includes full day coverage, edited high resolution files and an online proofing gallery. You'll also receive a complimentary pre wedding portrait session. You can download the full wedding price list here. I've photographed weddings in venues all over Toronto and Southern Ontario. 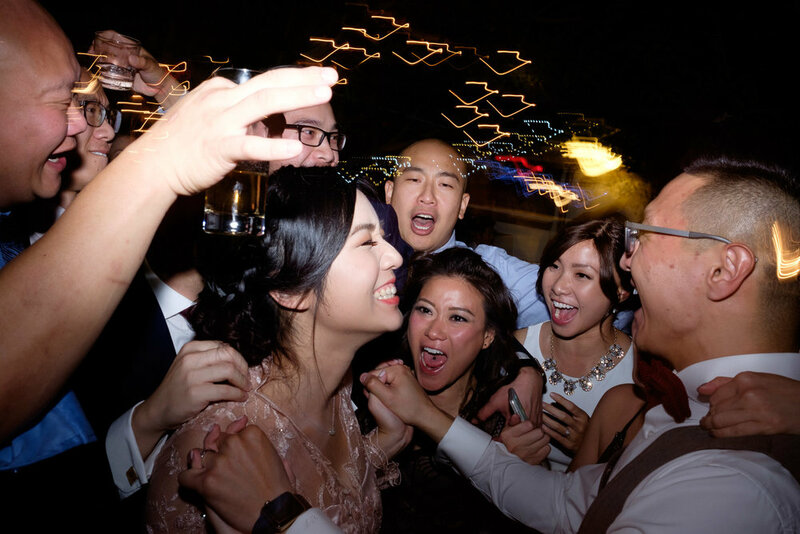 Ranging in size from the massive banquet halls to intimate dinners for 8, I'm happy to photograph your wedding in whatever venue you've fallen in love with. These are some of my favourite venues that I've worked with in the past but even if you don't see your venue listed here, don't worry... I pride myself on my ability to shoot in any venue! "Thank you so much for helping to make our wedding day so special. We love our photos SO much and could not be happier with how you captured each moment- you are so talented and your work is so amazing. It means so much that bot capture some of the most special moments in our lives and we cannot thank you enough for this." “We’re glad that we were able to meet you in person to view the photos because it’s hard to express the amazing feelings that we felt seeing the photos for the first time. As we have poured over them with each other and family and friends, we have relived every moment over again. The photos do such an unbelievable job at telling the story of the day that we rarely have to narrate to explain how we felt – it is easy to gather from the looks on our faces and angles that you captured. Part of me was anxious about not having a videographer that day, but your photos have so much life and movement that they view like a movie. Each photo is a treasure to us. "Thank you so much Scott for being there to capture our special day. We were all caught up with how emotional it ended up being, but I guess that's the bonus of having such an intimate wedding. Everyone kept telling me how friendly and funny you were and that bodes well with our group! We have been to so many of our friends weddings with staunchy, bossy, or just plain old boring photographers. It was so nice that you fit in so well with everyone - but especially made Mike and I so comfortable and let us be our silly inappropriate selves without being judged. :) We are so glad to have the honour and priviledge of being the smallest wedding you've captured thus far. We are absolutely thrilled with this picture and can't wait to see the rest. You - my friend - are a frickin' genius! :) Thank you a billion times over!!" We are so pleased with the photos. You did an amazing job, and captured some very special moments throughout the day of not only us, but our guests! Other than with my family I’ve only shared the video with a few people so far, but already you’ve gained more fans out of our friends. We just saw the photo slideshow!! It was amazing! brought tears of joy in my eyes!!! We love it! Even the song you used is very nice. You are an amazing photographer! Thank you for capturing every beautiful moment of our dream day! it took us 10 years to make it happened and we're glad our dream wedding finally came true! We can't thank you enough for your wondetful work! Your talent behind the lens is outstanding, and the love you put in your craft is admirable! You made our day extra special! Thank you so much!! Planning a wedding is tough... you get a lot of info thrown at you and it be a little overwhelming trying to sort through it all. I've photographed over 200 weddings so I've seen what works, what doesn't and which wedding vendors do an amazing job every time I've worked with them. If you're looking for suggestions, here are the people I love working with and can wholeheartedly recommend. I worked with Cynthia on Christa & Jeff's wedding at Graydon Hall and I have never seen a wedding run so effortlessly... at least on the surface. Behind the scenes, Cynthia was constantly checking on things and putting out little fires before the couple even noticed them. Cynthia does an amazing job coordinating with the other vendors working at a wedding, always ensuring everyone knows what's happening and is ready for the next phase of the day. Being one of Toronto's premier wedding planners, Cynthia Martin has had her work published in many magazines and blogs. I can't think of many better decisions you could make about your wedding then letting Cynthia take care of everything! Andrew and his team over at Honey & Dear are one of Toronto's best cinematography teams who consistently capture amazing wedding footage for their couples! Andrew & Emily do a great job of working with photographers to ensure everyone get's what they need and toes aren't being stepped on all day. They also have a very unobtrusive way of working without sacrificing the quality and variety of footage they capture. A recent addition to the world of wedding cakes in Toronto, Ida brings a refreshing different eye to designing wedding cakes. All her designs are one off creations designed with a huge amount of input from her wedding clients.... and they taste great too! 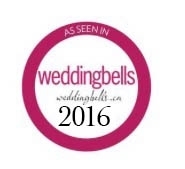 Hands down, Marty and his team from Kettle Creek Weddings are the best officiants I've ever worked with! They do everything right, with heartfelt personal ceremonies to little things like getting out of the way for the first kiss so the photographer can get a great shot! I would describe myself as a wedding photojournalist with a strong sense of composition. My ultimate goal at each wedding is to provide you with a set of edited images that tell the complete story of your wedding day for future generations to enjoy. Absolutely. I love family and think the family pictures are some of the most important pictures of the day. Of course, we'll also get some cool pictures of you guys and your wedding party. IS FULL DAY COVERAGE REALLY THE ENTIRE DAY? Yes. I usually start with the bride’s hair & makeup and finish at the end of the reception. The typical wedding usually is around 600 pictures. This covers everything from getting ready in the morning until late into the reception. HOW LONG AFTER THE WEDDING UNTIL WE SEE OUR PICTURES? During the peak season the turn around time is 4-6 weeks. Of course, if you want to see a few sneak previews those will be posted on my instagram and Facebook pages! DO YOU PHOTOSHOP ALL YOUR IMAGES? My style lends itself to images that have very clean colours and tones. The only time I use photoshop is for minor retouching of portraits. I know how expensive this whole wedding thing can get so I do offer discounts for last minute weddings, off season weddings and Monday-Thursday weddings. Absolutely! I live in a small town but spend most of the time photographing weddings in Toronto and the rest of Ontario. I’m also available for travel Canada wide (at an additional cost). I’ve been photographing weddings for 10 years and I’ve yet to miss a wedding. Having said that, life happens and I think it’s best to be prepared. If I can’t be there to photograph your wedding, I have a network of other photographers who I can call to take my place.